MONTREAL, QC (April 26, 2018 – 5 PM ET) – The world of fintech is shining brighter than ever. With more than 100 years of family investment experience, Holdun is pursuing its legacy by encouraging those building the future. 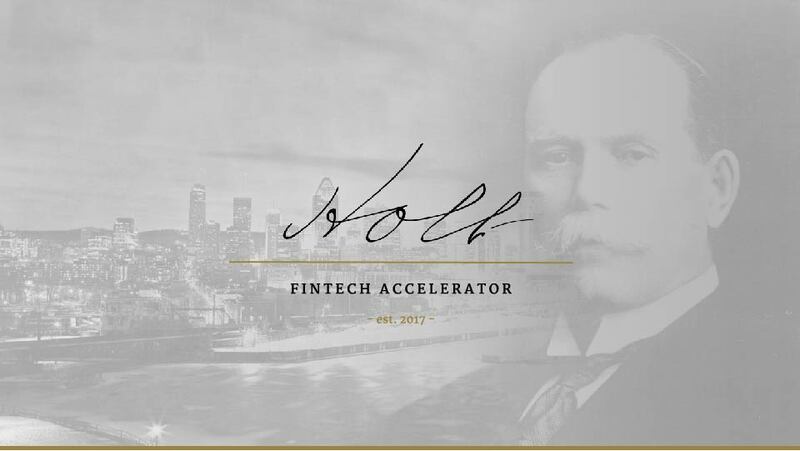 To do so, today it is launching the Holt Fintech Accelerator Program. Announced in Montreal and aimed globally, the accelerator program will support the next generation of entrepreneur talents operating in the fintech industry. This project extends the entrepreneurship legacy of Sir Herbert Holt, Quebec’s energy pioneer, who created one of the largest privately owned utility in the world, now known as Hydro-Québec, as well as for his financial industry impact, as he was the longest serving chairman and president of the Royal Bank of Canada.